Reliable Rubbish Removal in London. Faster. Safer. Closer. Check out our range of Domestic Services! Browse the Commercial Services we offer! Click here for Construction Waste Services! The instant you decide to use our rubbish removal services in London is the moment you’ll realise how much time you’ve been wasting on this tedious task. With a single phone call you can save yourself hours of contacting recycling centres, arranging transportation, handling heavy labour, and about million other things related to junk collection. Take a closer look at what we have to offer and you’ll see reliability every step of the way. Rubbish Begone has been built on five pillars, all of which are the foundation of our waste clearance services in London. These five pillars are: affordability, speed, safety, flexibility, and coverage. 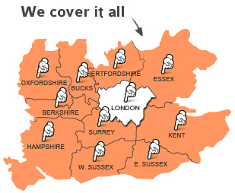 We cover all London areas (including Greater London). We are never more than a few clicks or a phone call away. 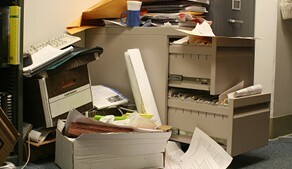 You won’t have to rob a bank in order to afford our rubbish removal London service. The operatives work faster and more efficiently than ever before. As a licensed carrier, customer safety is a top priority for us. We are also fully insured. You can always count on us to do your dirty work. Even if it’s late night or early morning. Excellent Rubbish Removal in London. At a Fair Price. Rubbish Begone is a local rubbish removal company in London. We have provided reliable rubbish collection and garden clearance to the good people of our fair city for donkey’s years. Thousands of happy customers over the course of our long history on the market can attest to our unwithering commitment to offering high quality waste clearance at competitive prices – price based on the rubbish removed, so you will know exactly what you’re paying for. We are always close-by when you need us. Rubbish Begone covers the entire London area so teams can be dispatched to your locale as soon as two hours after your call. No more waiting for weeks and conforming to different council conditions where you do most of the work. Yourself. 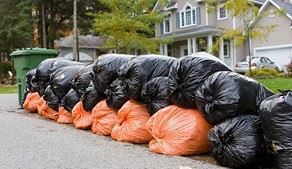 Our company will send you rubbish removal professionals who will handle all the heavy lifting. So you won’t have to lift a finger. 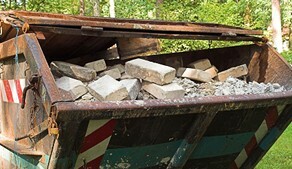 Rubbish clearance can be dangerous if handled improperly, especially when it comes to heavy objects. Wardrobes, refrigerators, and rubble can be real back-breakers during house clearance, which is why we handle all the labour. The teams don’t mind getting their hands dirty and know how to avoid all inherent risks. And they use vans so the transportation and disposal are as effortless as possible. All of this at a fair price. Professional Rubbish Removal in London. Always at Your Fingertips. 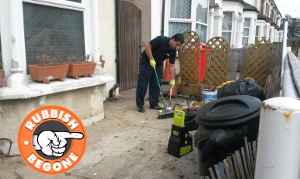 The teams we work with are comprised of experienced, vetted, and fully insured rubbish removal specialists in London. You can entrust your hard and tedious work to them, safe in the knowledge it’s being handled with care and proficiency. What more can you ask for? Instead of wasting your valuable time dealing with junk, why don’t you spend it with your loved ones? Or you can hang out with friends. Or have fun at home, chill out in the park, or do whatever your heart desires, enjoying every precious moment. Anything beats rubbish removal London. Leave that to us. The technicians will gladly handle all the labour and save you all the hassle. Book Our First-Class Services Today! Use your free time for whatever you want and let us dispose of your rubbish for you. Either call our hotline 020 3404 1106 or simply reach us online. You will receive an instant quote and have all your questions answered by our polite customer care representatives. Alternatively, book our services via the booking form on our website. Rubbish Begone – enjoy your precious moments! Rubbish Begone have achieved an average rating of 4.8 / 5 as judged by 30 precious customers!